Throughout my entire childhood (okay, adulthood too) I dreamed of opening my closet only to find it a portal to Narnia. 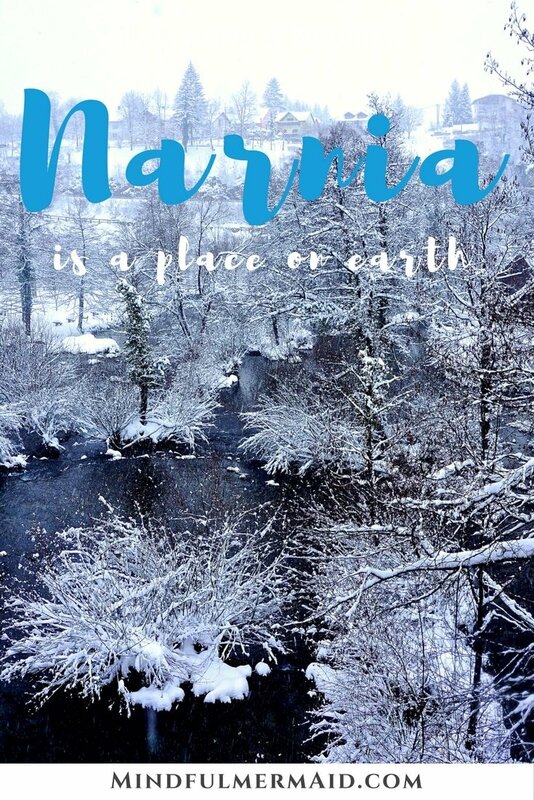 The winter wonderland that C.S Lewis described in his fantasy novels captured the imagination and hearts of millions. But what if I told you that fiction could become a reality? Okay, so without the evil witches and talking beavers, of course, there is a place on earth covered in waterfalls and flowing streams, painted a twinkling silver right out of a storybook. What’s most surprising is that it is hidden in a place you would least expect it. Tucked inland in Central Croatia is the storybook village Rastoke, located within small town of Slunj. 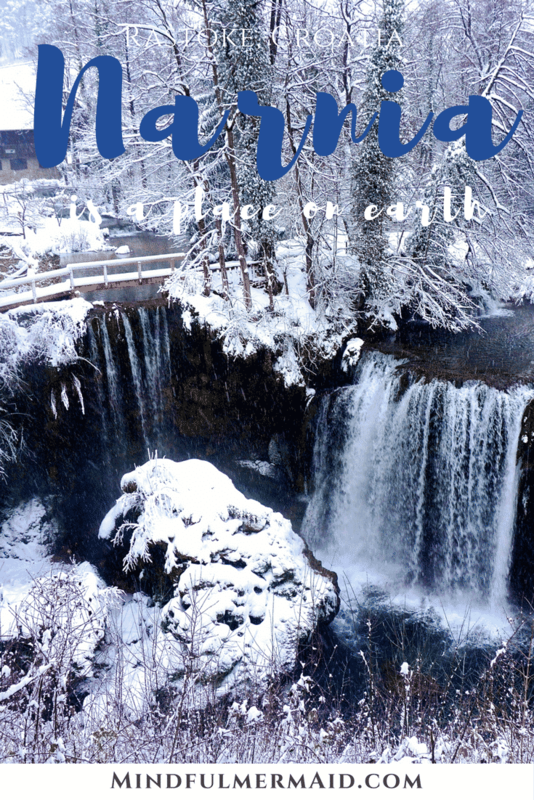 In the summer, tourists flock for the outdoor activities in the untouched nature, and in the winter, it turns into a quiet winter wonderland for in-the-know travelers. Most people think of Croatia as purely a Mediterranean and tropical beach destination, but what most people don’t know is that winters in Croatia are just as beautiful. Coastal Croatia has a relatively mild winter with rain and high winds. 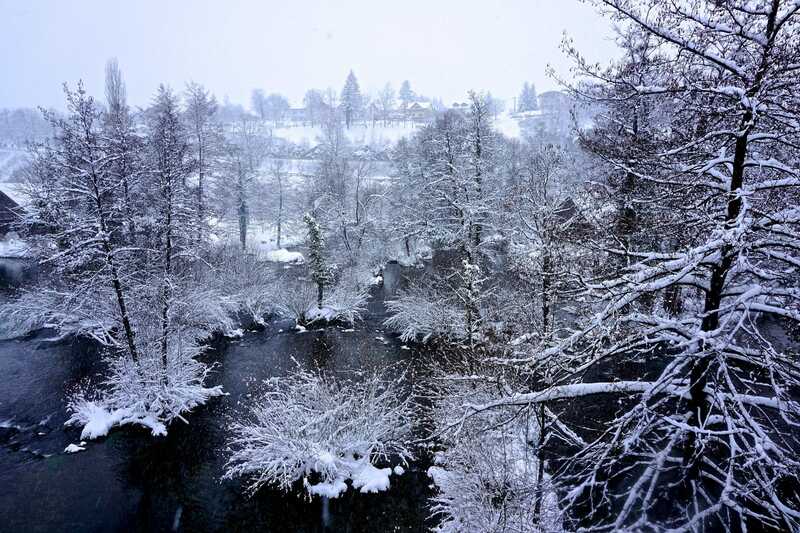 Meanwhile, inland is often covered in a blanket of fresh snow. 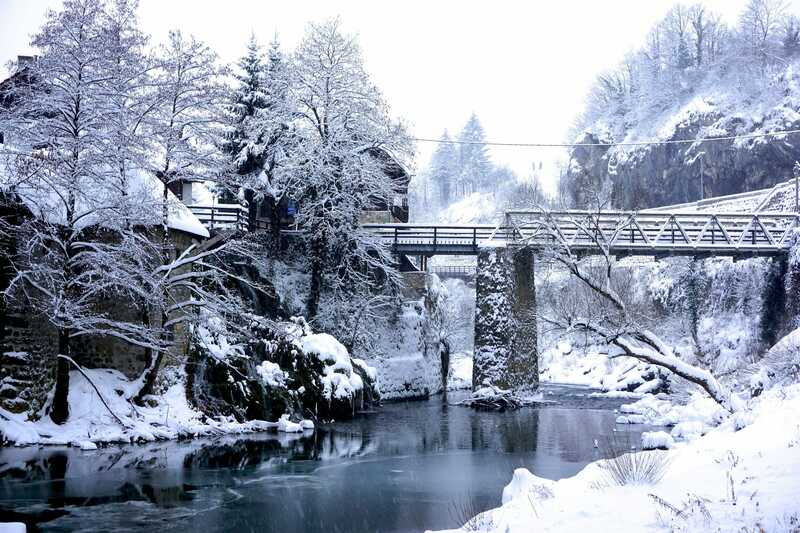 Rastoke is perhaps one of the most magical places to experience this. The town is only about an hour and a half from Zagreb, the capital of Croatia, and also near the legendary Plitvice Lakes. There are several walking trails that weave through the forests, streams, and waterfalls. As you can tell by the unfrozen waters, you get the Narnia-like experience without the sub-zero temperatures. 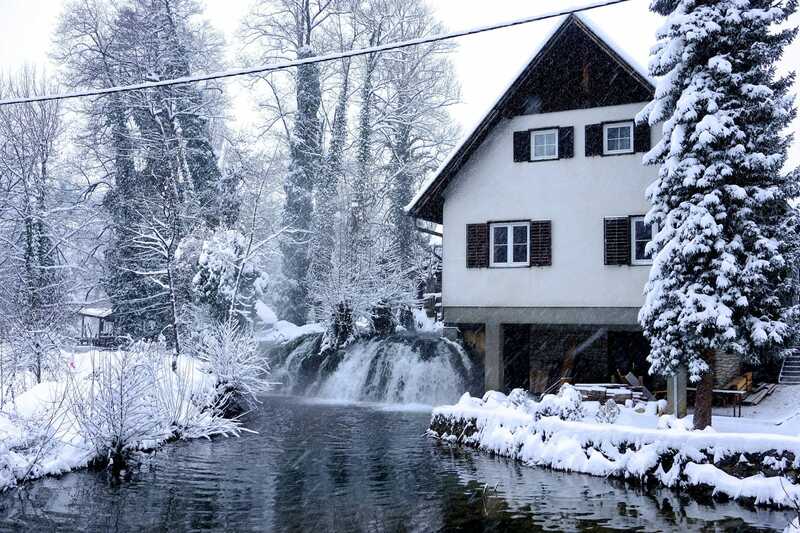 Rastoke is the ideal destination if you’re looking to explore winter’s wonders, and then curl up for the afternoon with a good book. As an advocate of slow travel, I would recommend visiting to those that want to escape the chaos of manic traveling. It’s convenient location in central Croatia also makes it perfect for a stop along a Croatian road trip. I visited Rastoke in January of 2016 with my Croatian boyfriend, as we were on our way back from a road trip to Ljubljana, Slovenia. We were pretty tired on the way back, so staying for two nights to relax was just what we needed. We were blown away how cute the town was and how accommodations were so affordable! 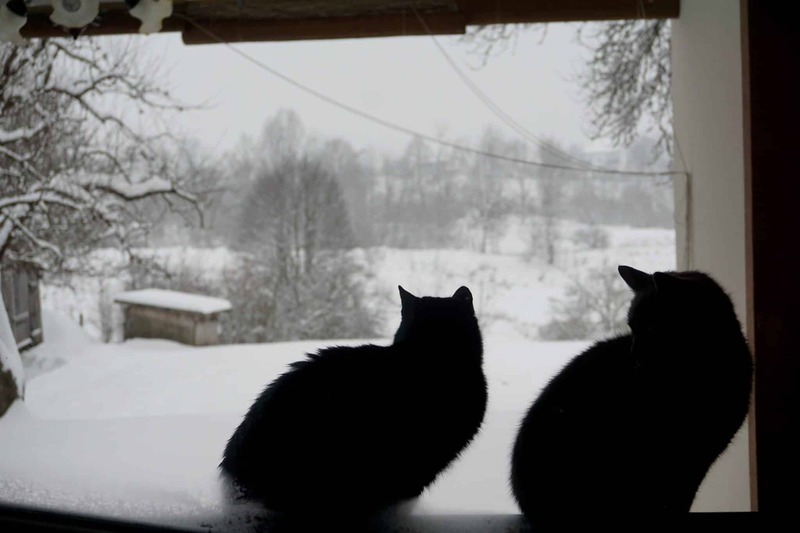 We planned on also visiting Plitvice Lakes while staying, but we ended up getting snowed in. 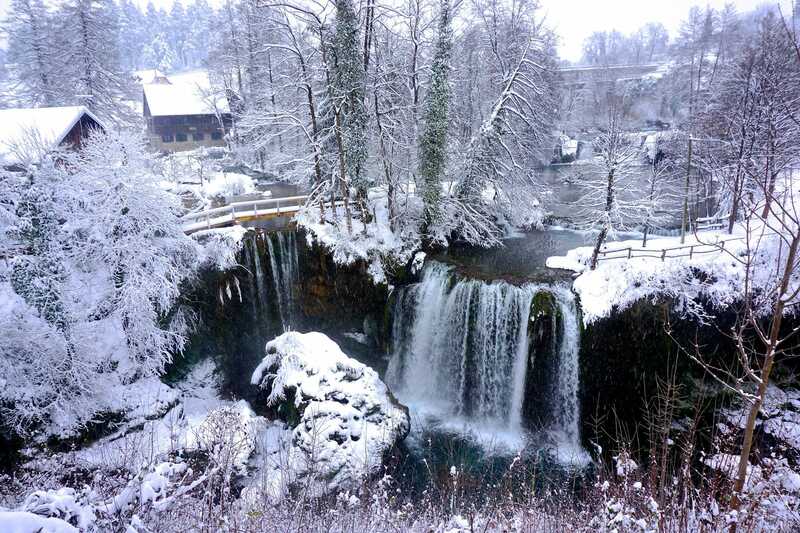 Although the pictures of Plitvice Lakes in winter look equally charming, Rastoke has a quaint charm that doesn’t feel like a national park. There’s a bar on top of one of the waterfalls, and it’s oh-so magical. There aren’t really any hotels in the area, so the best way to stay would be via Airbnb. Our host was the definition of hospitable, and sat down with us to explain the entire area, and even gave us some shots of rakija. It was one of the best Airbnb experiences, and I would highly recommend staying here as well! A few visitors showed up at our window! Since Rastoke is a bit off the beaten path, it also comes with a few challenges. First, driving is pretty much the only way to get there, which you can easily do via Rentacar.com. Also, there aren’t a ton of restaurants in the area, so it’s best to bring a bunch of food and cook in. However, you will also save a lot of money on all the other travel expenses that add up. If you’d like to see Rastoke in the wintertime, I’d recommend flying into nearby Zagreb for the Advent Christmas Festival, awarded the best Christmas Market in Europe! The Plitvice Lakes are well worth a day-trip as well. Narnia waits to be discovered in Rastoke. Just love this post! So enchanting! Beautiful place, beautiful post! Thanks so much for introducing this place to us! Wow, it looks beautiful! And very, very cold….! Wow, looks stunning! I think I’d prefer to visit in Winter than in sun-baked summer!